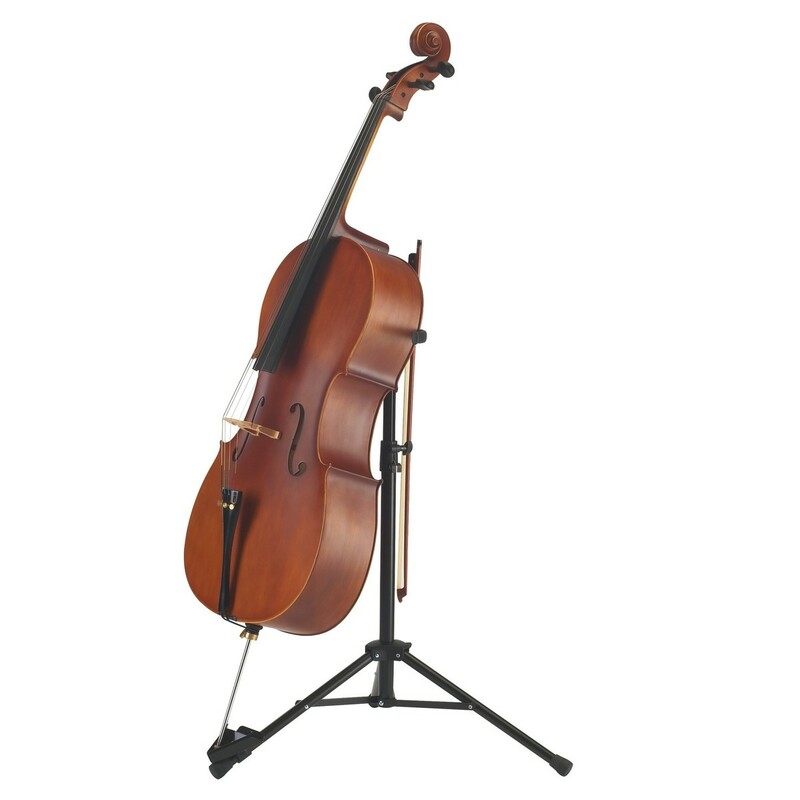 This K&M Cello Stand features a newly developed V-shaped base, ensuring stability and reliability. 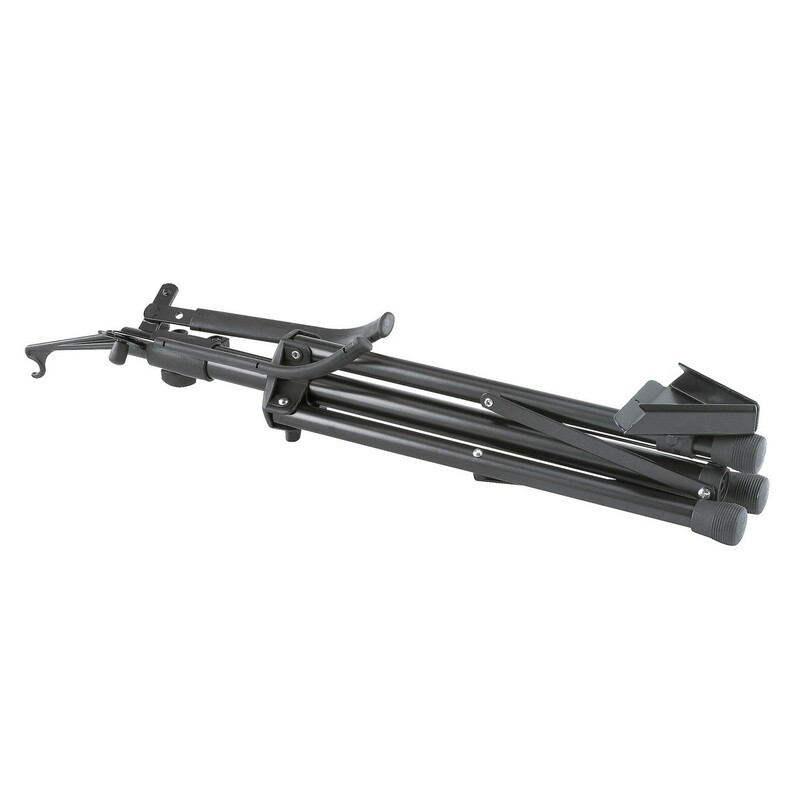 The stand is made from high quality steel and is finished in black. Suitable for all cellos, this stand includes a bow holder as a practical addition. 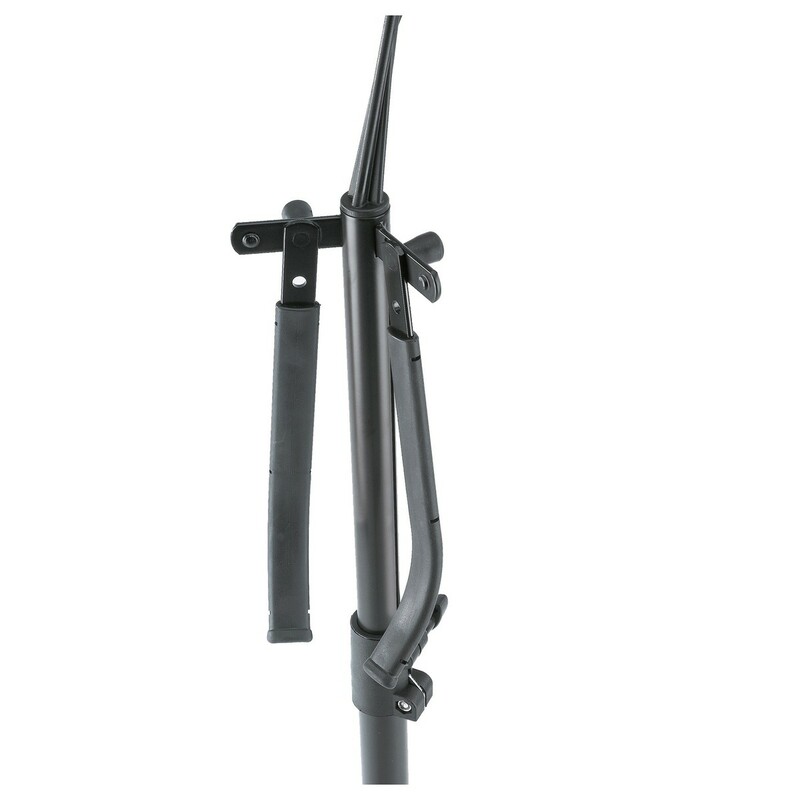 Each tube leg features its own cross brace and rubber foot, to ensure stability while also preventing damage to the surface beneath. 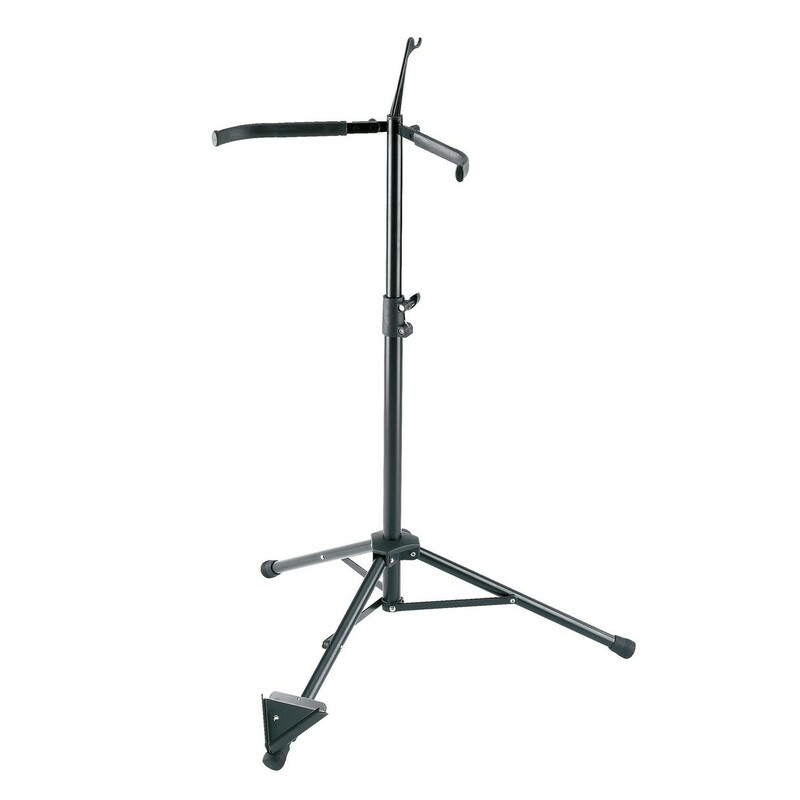 A 2-piece folding design is desirable among travelling musicians as the stand can be folded into a compact size. 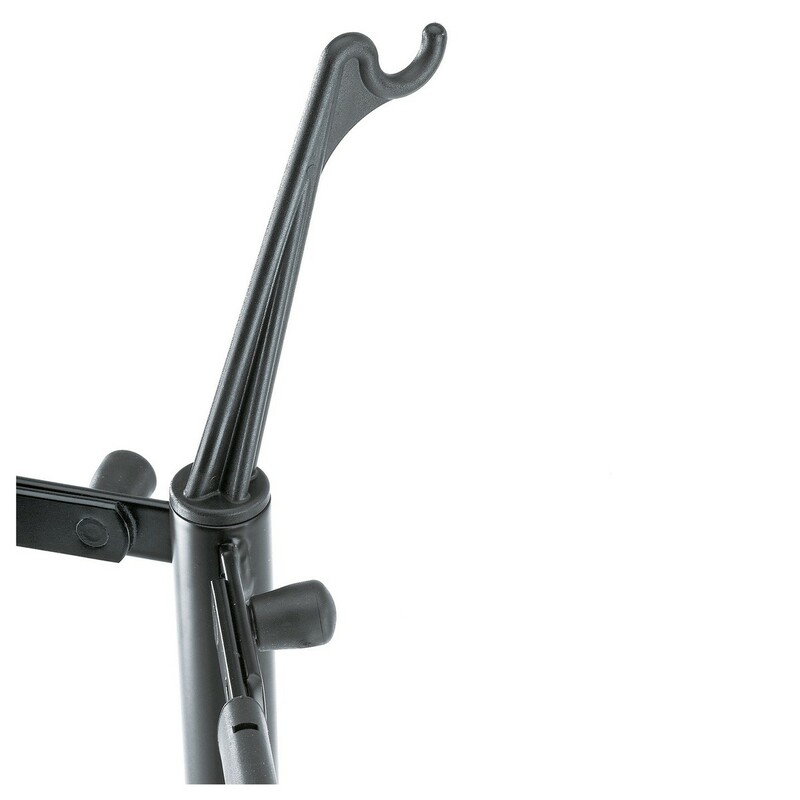 Height adjustable so can fit all cellos comfortably, the stand also includes rubber coating to both support arms, ensuring further protection for the instrument. View Full Description *Instrument Not Included.